Last year’s Mother’s Day did not end well, or start well come to think of it. A day of receiving love and attention, a relaxed happy time for you to feel appreciated in the thoughts of others it was not. Yes my daughter made me a lovely card and I did have flowers which were nice and looking back I did get the basics and the boxes were ticked but more importantly the atmosphere was not there. My daughter of course made me feel loved and special but my husband did not and I apparently was ungrateful and unreasonable to believe this was how it was supposed to happen. It was on this day a year ago that I realised I was with a man who is either not capable of showing care and attention towards me or no longer wanted to. It wasn’t up for discussion then and still wasn’t when he left. It is now a lot easier to look at a situation from the outside and see how wrong it was rather than living in the middle of it and not understanding why you can’t fix it. It is true that it takes two to make a marriage and takes two to f**k it up and therefore takes two to fix it. If you can’t both discuss what went wrong or don’t want to its time to move on, everyone has the right to be happy. 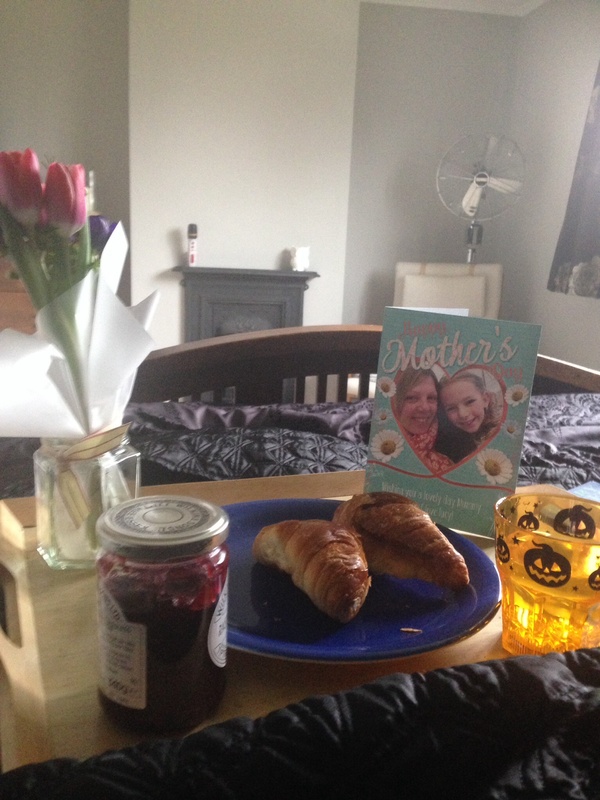 In dramatic contrast Mother’s Day this year started with breakfast on a tray as I woke up, flowers, a personalised card and homemade present. A girlie relaxed lunch out followed by a mini bake off making cookies, a film and a lot of laughter watching silly cat videos. The day has flown by I feel loved and very lucky to have a beautiful caring daughter. It seems it was not such an unreasonable expectation after all and actually an incredibly easy thing to pull off if your heart’s in the right place.